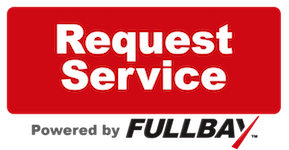 We want to hear about your experience at Abar Onsite Fleet Services. "We've been using ABAR for our fleet of service vehicles and could not be more happy. We get timely repairs and a fair price - Nick Shif, Choice Plumbing"
"I am an over the road truck driver so quality is paramount. This place is great. They are honest, up front, and professional about repairs. For me, this goes a long way. I thought i was going to have to spend a ton for my fix but it ended up being cheap. I really trust these guys. Highly recommended!!!" "I recommend this business for truck repair. They're professional and they took care of my semi tractor problem in a timely fashion. The parking lot is a little tight to get a 53' trailer in hence the four stars, but there's a "truck friendly" Days Inn nearby on I-4 where a trailer could be dropped." "We have been using Abar On-Site for over 3 years. No matter what this issue is they always take care of it and in a timely manner. They are competitive, reliable and very knowledgeable. It's great to have a company that can come to you when necessary. I would highly recommend them for any mechanical needs. " - Bill Partin, Partin Plumbing Services, Inc.
"There is truly no substitute for great service. ABAR has been a vital piece of our fleet growth from 26 trucks to over 100; from the maintenance tracking down to regular/irregular preventative maintenance. There has not been one point where ABAR employees have not offered viable and valuable solutions to the most frustrating situations. Estimates are fair, correct, and timely while every person on the staff is SPECTACULAR. The techs are friendly and detailed. Management and office staff are on point. And Thomas has been a singular force in the partnership and continued success of our companies. " "Awesome mechanics and a great atmosphere!!! Locally owned and operated"
"ABAR has been taking good care of all of our service vehicles for several years. I feel we get very good service in a timely manner and at a fair price. I would recommend them to anyone with a mechanical need." "We use ABAR for our entire fleet. Unlike many other shops, there work on every make and model of vehicle that we have without question. We have diesel and gas vehicles and they work on both. Many other shops have all sorts, of disclaimers, 'we do this, but not that', 'why don't you bring us these vehicles, but take these others to the dealership?'. As a small business owner, it is invaluable to me to be able to make one phone call, and not think about it again until the work is done. I want a one stop shops, and ABAR is just that. They are truly our fleet consultants and cant imagine switching. They are price competitive, reliable, available, and best of all they come to us to do the work. Why wouldn't we use them?!?!" "ABAR Onsite has taken excellent care of our Cintas fleet for over three years. From our Sprinter vans, delivery step vans and larger straight trucks, they have consistently serviced and repaired our trucks in order to keep my fleet moving. Reliable, competitive prices, and their enhanced diagnostics technology have improved our on road time and decreased our OOS time. Their willingness to accomodate my fleet demands, to be the stewards of my budget, has been exceptional. I recommend them to any fleet manager." "My girlfriend and I brought our 2005 Dodge Sprinter Van into Abar to have it inspected before we bought it and everyone from the sales team to the service department handled us with respect and took time to explain the vehicle to us. We are not experienced diesel people so the team at Abar went through in detail what needed to be done and how best to go about servicing the vehicle. While we are still just 6 months in with our Sprinter, so far we have been to Abar twice for the original inspection and again to fix the turbo and the staff has been great on both occasions. When we replaced the turbo they found replacement parts so we wouldn't have to order brand new from the factory which saved us a good amount of money. I feel that I have a place I can trust to handle my diesel and I would recommend them to anyone looking for the same." "Thanks Thomas and crew for all that you guys do. I recommend these guys to anyone looking for a fair and prompt mechanic"
"I was unexpectedly stranded in Orlando with a broken Dodge Sprinter. We had a tow truck called to get our vehicle only to have him say it couldn't be towed from it's location. Frustrated, I called Thomas at ABAR for help and they came through big time. He first determined correctly they couldn't fix our van where it was sitting and then sent someone to tow us. Not only did they track down a competent tow truck to get our van to their shop, but they carefully worked us into their existing work load to help us in a pinch. They efficiently diagnosed the problem and I called my mechanic back home who agreed with their diagnosis and told me to prepare for a hefty bill because the part was expensive and it would take time to fix. When I got the final bill from ABAR they came in $200 under what I was expecting to pay! Not only that, a member of the ABAR team took time out of her day to drive me to meet my family who were still stranded back at an IKEA in town. I had complete confidence in their Sprinter knowledge and felt completely confident they were dealing with me honestly. If I lived in Orlando ABAR would be my full time Sprinter mechanic! Thanks for great work and treating me with kindness." "As a small fleet owner I love the fact that Abar understands the importance of 100% uptime. With Abar as our primary truck service repair facility, I am able to do just that! They have helped us out when we were in a pinch on a couple of occasions; instead of having us sitting in some truck repair shop waiting days to be serviced. Abar is efficient, cost effective, and a pleasure to do business with! I would recommend Abar to anyone who is in the market for a trustworthy repair shop that knows big trucks! Abar Rocks!"